De Cierta Manera (One Way or Another), 1977 (79 min.) a film by Sara Gómez In Spanish with English subtitles. A love story combining elements of fiction and documentary, De Cierta Manera examines issues of sexism, racism, and class-based prejudices in early 1960s Cuba. It analyzes the successes and shortcomings of the Revolution and shows the difficulties of changing codes of conduct despite progressive policies. 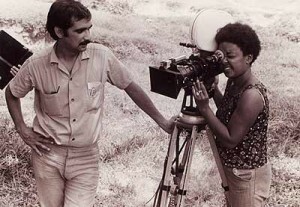 The director, Sara Gómez –first, black female Cuban director, died during the editing of the film, which was completed by Tomás Gutiérrez Alea, Julio García Espinosa and Rigoberto López. Following the film, a conversation was held with three leading academics on Cuban culture and history, Odette Casamayor (Assistant Professor of Classical and Modern Languages, University of Connecticut), Katrin Hansing (Associate Professor of Black and Hispanic Studies, Baruch College, CUNY).